I came up to SFU today to give a practice run-through of my PhD defense seminar (it is next week!). The talk went OK, given that I had not practiced it, but afterward, at lunch, I went out to see what I could see in the forest behind the lab. What I saw was this beautiful bee-like robber fly (Laphria spp.) munching down on a bumblebee! I hope you enjoy the pictures! This fly was being very uncooperative, facing away from the camera on a high bush. 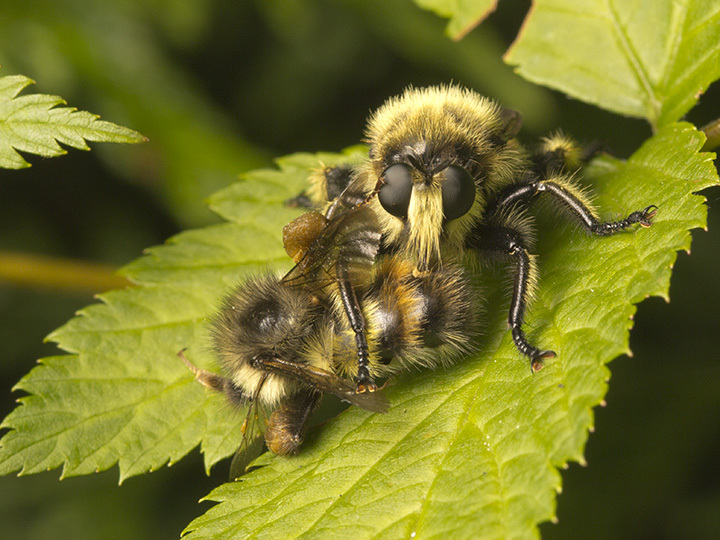 Laphria are likely Batesian mimics of bumblebees, and you can see the resemblance here. Here is the last shot I got of the pair, as the robber takes off to find a paparazzi-free perch to enjoy its meal. 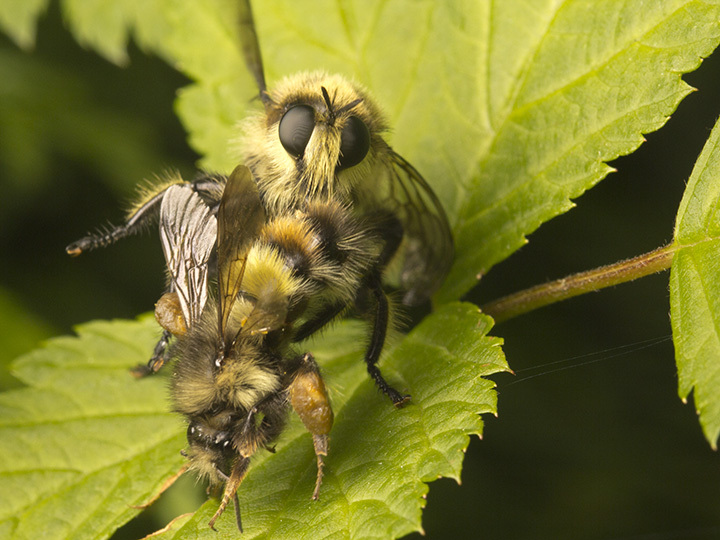 This entry was posted on July 4, 2014, in Natural History and tagged bumblebee, Burnaby, Laphria, Robber Fly, SFU. Bookmark the permalink.